Security camera footage shows the dramatic car attack which killed Shalom Yohai Sherki. Shocking video footage has surfaced showing the car attack in Jerusalem which murdered Shalom Yohai Sherki, and seriously injured Shira Klein. 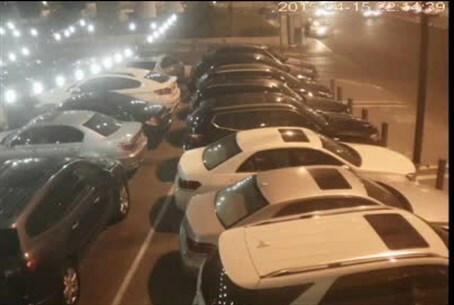 The footage appears to be from security cameras near, or in, an illegally-run Arab luxury car dealership adjacent to the bus stop where Sherki was murdered. Klein and Sherki were the victim of Palestinian Arab driver Khaled Kutina, who deliberately rammed his car into a bus stop in the French Hill neighborhood. The attack was originally ruled an “accident” before police confirmed it was indeed a terror attack, with evidence from the scene including the way the car struck the bus stop where the two were waiting strengthening that assessment.